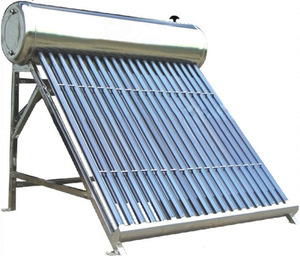 3. the sturcture of integrated pressurized solar water heater . 4. solar copper heat pipes for integrated pressurized solar water heater There is a linquid inside the copper pipes . there is a copper condensor on the top of the heat pipe . Autumn Solar Pool Equipment (Shenzhen) Co., Ltd.
1, Photos : 2, Material: &lt;1&gt; Imported SUS304-2B food-level stainless steel,thickness:0.31~0.5mm &lt;2&gt; Outer tank: High quality coated steel,thickness:0.31~0.5mm &lt;3&gt; Insulation: 30mm polyurethane foam &lt;4&gt; Vacuum tube: CU/SS-AL/N red tube &lt;5&gt; Frame: Coated steel/Aluminum alloy,thickness:1.2~2mm &lt;6&gt; Reflector: Stainless steel/Aluminum alloy as option &lt;7&gt; Available accessories: Feeding tank,solar controller,electric heater, Mag rod,thermostatic mixing valve 3, Size range: ITEM. that will make us lead the trend whatever on structure or technolgy &lt;2&gt; 15 QC control the quality, just make sure all is right &lt;3&gt; Aftersale service is quick, any problem you mentioned will be dealt with in 24 hours! 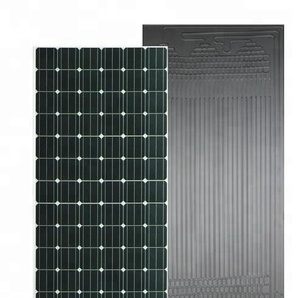 &lt;4&gt; Our professional salesmen always online for your questions 7, Factory photos: 8, Contact: Mr Krista Zhang Position: Sales manager Phone: 86-573-87090146 Mob: 0086-18857389277 Wechat: Zilansolar Skype: Krista025 Website: For more details, pls send email to us, thanks! The pressure in the boiler is the same as the one in the water supply system thus the circulation of the hot water runs undisturbed. In the centre of the Heat Pipe there is a hollow copper pipe consisting of a fluid which starts to boil when the heat reaches 40 degrees. When the fluid starts boiling the formed steam raises the heat up the pipe and the top of the pipe carries it to the water in the water tank. testing pressure bar 10 10 10 10 10 10 10 10 Max. Q3. Lead time9 For the LCL order is 15 days after received the payment . for the container order is 25 days after received the advance payment. Imposol Belgium Split Solar Water Heaters for water Heating (Double /single copper coil) tank EN12975 certified with heat pipe solar collectors system Solar Collector, Water Tank ,Solar Controller,Expansion Tank. 2. The tank inside the building, the hot water loses less energy than the normal one 3. The solar collector and the tank of solar water heater is separated, that makes the system combine with the building perfectly, which will reduce the sightseeing for the building and environment around 4. Back up with electric heater so that in the day without sunshine hot water can also be used 5. Can be combined with gas or electric heater 6. Max. 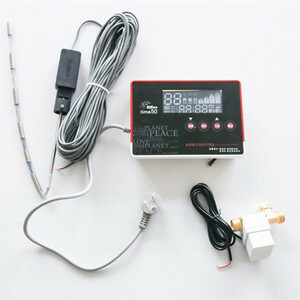 Pressure: 12bar; Operating Pressure: 6 bar Solar water heaters working principle 1. The solar collector absorbs solar energy and transmits it to the solar water heater tank through circulation 2. When the temperature of the collector reaches the set value, the controller starts the circulation pump automatically 3. The circulation pump makes heat-conducting liquid circulate automatically 4. The heat-conducting liquid transfers heat to water by lower heat exchanger in the water tank. Haining Ocean Import And Export Co., Ltd.
Packaging & Shipping 1- What is your Delivery Time9 LCL order /Sample order :10days . 3- Can you accept OEM 9 YES 4- What is your P ayment T erm9 We accept T/T or L/C at sight , Western Unio n . If you will visit our factory, we can pick you up at the railway station or in the airport. Jinan Xia Yuhe Solar Energy Co., Ltd.
4. The water can be heated rapidly, so it can produce the high temperature hot water. 2. for water in the copper coil: When cold water flows through the coil it absorbs heat from the water inside the pre-heating tank. And the water we actually use is the water in the copper coil, it means it is the fresh water (there is no pollution in the water). Packaging & Shipping Product show Founded in 2006 , Haining Chaoda Solar Collector Tubes Co. ,Ltd is professional supplier for all kinds of solar water heater products . Our company has CE ,solar key mark ,ISO9001 certificates . 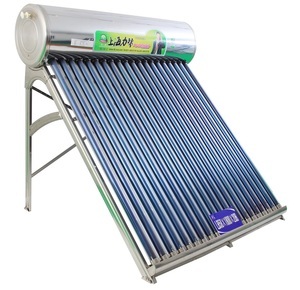 Alibaba.com offers 74,046 solar water heater products. About 42% of these are solar water heaters, 15% are solar collectors, and 3% are solar water heater parts. 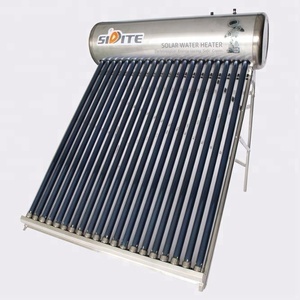 A wide variety of solar water heater options are available to you, such as evacuated tube, flat-plate, and non-pressure. You can also choose from ce, rohs, and saso. As well as from freestanding, wall mounted. And whether solar water heater is stainless steel, or plastic. 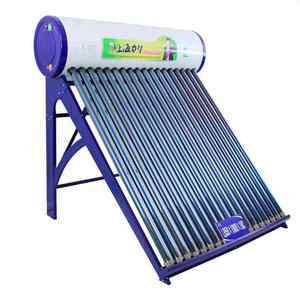 There are 71,307 solar water heater suppliers, mainly located in Asia. 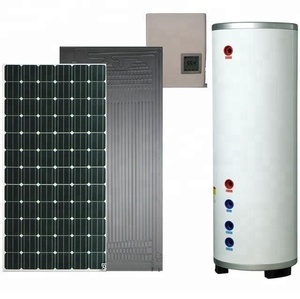 The top supplying countries are China (Mainland), India, and Greece, which supply 98%, 1%, and 1% of solar water heater respectively. 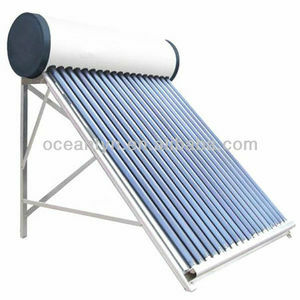 Solar water heater products are most popular in Domestic Market, South America, and Western Europe. You can ensure product safety by selecting from certified suppliers, including 48,694 with ISO9001, 11,032 with Other, and 9,719 with ISO14001 certification.